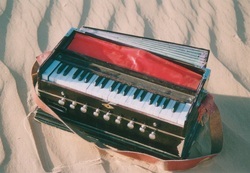 The Manganiyars are professional Muslim folk musicians belonging to Jaisalmer, Barmer, parts of Jalor, Bikaner and Jodhpur districts in Western Rajasthan. 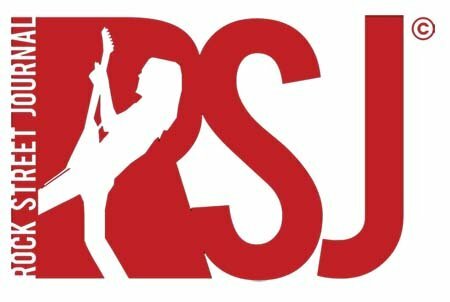 Like other hereditary caste musicians, they cultivate a close relationship to their patrons. Since generations they provide musical service to their patrons to receive cattle, camels, goats or cash as gift. On the other side they function as record keepers and keep the different family histories alive trough their songs, based on pure oral tradition. Belonging to the Muslim faith, but supported by the Patrons (Râjputs, members of a Hindu military caste claiming Kshatriya descent), the Manganiyars sing the praises both of the great Sufi saints and of the God Krishna. These splendid virtuoso musicians combine the popular mystical and secular traditions of the desert with those of the courts of the maharajas. They perpetuate a religious and chivalrous art dating from the Middle Ages. From childhood the music is heard and imbibed along with one's mother's milk. There are numerous public activities that allow the villagers to practice and hone their skills. 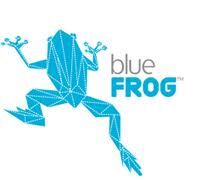 The music is an indispensable component of functions such as weddings, engagements, and births. There is an uncountable number of songs for such occasions. Many songs are associated with planting and harvesting. In these activities the villagers routinely sing about their hopes, fears and aspirations. 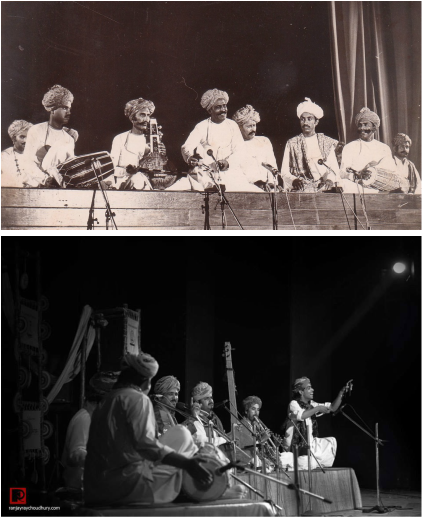 Nowadays the musical performances of the Manganiyars ranging from traditional village settings to the biggest stages of the world, are in high demand not only because of their unique voices and instruments but non the less because they move the audience form greatest, deepest joy to tears of happiness. Khartal is a pair of lightweight rectangular wood. The name comes from the Hindi words ‘kara’ means hand and ‘tala’ means clapping or rhythm. 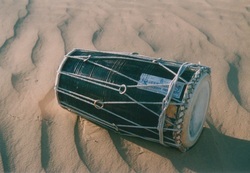 The Dholak, the twin faced drum is a traditional Rajasthani rhythm instrument. 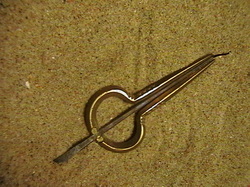 sand (dholak masala) which lowers the pitch. This song is a traditional welcome for new born children. 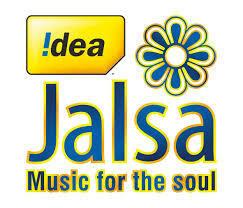 The birth of Lord Krishna is the main topic of this song. Even nowadays each newborn child in its pure nature is compared to God Krishna himself. 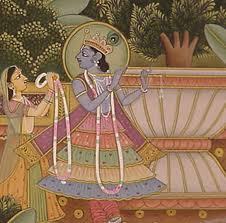 When Krishna was born in Mathura the musicans played Dhol- the Indian drum- to welcome him and to announce his birth to the whole world and also to Gokula. The lucky mother of Krishna is praised for her glorious son. Since those olden times people in Rajasthan welcome their newborn children by inviting the brahmin temple priests. They choose the right name for the newly born according to the horoscope of the child. The son of the carpenter is invited to bring a good cradle so that the child can sleep well. Manganiyar musicians are invited to celebrate such happy occasions with melodious and powerful music. This is a song which shows the love and affection of a wife for her husband. She wants to enjoy more time with him and therefore she finds many reasons why he should not sleep early. She asks him to sleep a little bit later. She bought a special sweet wine which she offers to him and afterwards he can sleep. Then she tells her beloved husband that she prepared a delicious dinner with all her love especially for him ; that’s why she wants him to eat before going to sleep. Then she opens his eyes for the beautyful garden, which invites them for a nice walk in the lovely nature. She tells him that she will be happy if after all this he finally will fall asleep and have sweet dreams. ﻿In former times this was a song for the king riding on a coulorful decorated elephant sitting in his palanquin to reach his wedding ceremony. Today this song is a traditional weddingsong for the young boys. The Manganiyars sing about the preperations for the royal wedding. They invite the son of the priest to recite the holy mantras, which supports the good fortune of the wedding ceremony. The son of the jeweller will bring beautiful bangels to the bride and rich ornaments to the king. Precious perfume fills the air. ﻿This is a song by which the poet Bullesah explains the essence of love for God to himself and the audience. He praises the presence of God who is everywhere in the three worlds, visible in land , alive things and the universe. God has given his name to all of this; whatever you see and feel you can experience God in it. Shah Abdullah was so close to God that he was gifted with the son Mohammed Rasul Allah. Mohamed Rasul Allah became the prophet of God bringing His message to the world. People make their pilgrimage to Mekka to find God but Bullesah thinks that the holy place of Mekka is also present inside of his own heart. God is inherend in every human being. What more can he desire than to realise the presence of God. He feels that temples and mosques are already inside of him, that’s why he feels himself filled with God. When you have true feelings you will feel God inside of you. Each religion wants to reach heaven. Buellesah on his personal way to reach God became a dancer who transcended his sexual identification and experienced the presence of God by his dance. He realised that if he would do any fault and falls from God’s grace , he will not go to a temple or mosque but search the direct forgiving by dancing with pure love just for God. 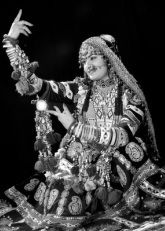 Rajasthani dances are essentially folk dances tracing their origin to rural customs and traditions. Since the Middle Ages the dancers and their communities have been supported by patronages. Today you will still find a wide variety of different dance styles around the villages and cites of Rajasthan. The Folk dance is most vibrant and evokes the desert in all its moods. The dance is an exceptional expression of the emotions, joy and colorful life in Rajasthan and it goes along with the traditional folk music of this region. The dancers practicing these dance forms are, till date,are religiously following the age old traditions and that's where, the beauty of these dances lies. Apart from the simple expressions and daring movements that add beauty to the dances, there are the vibrant and colorful costumes adorned by the dancers. For the dancers of Rajasthan, the Thar Desert is their authentic stage which enhances the beauty of the dances at the backdrop of the setting sun. This ancient dance form is performed by women of the Kalbelia community.The Kalbelia community is specialized on snake sharmers and they trade in snake venom. This traditional dance has a lot of movements in common with the movements of the serpents and hence, even the costumes are black in color. Ghoomar is a traditional women's community dance of Rajasthan which was developed by the Bhil tribe of Mewar zone and was adopted by other Rajasthani communities. Traditionally this dance form was performed solely by Rajput women on auspicious occasions. Only the women perform it with their faces covered by a veil. They dance while singing traditional songs and perform circular movements gracefully and charmingly. This traditional dance form requires lots of skill and patience as this dance is performed with pots on the head and lamps in the hand of the dancers. In such a state, the dancers perform several flexible and graceful movements of the body. This fascinating devotional dance form is performed by women. Manjeeras (little brass discs) are tied on the wrists, elbows, waists, arms of the performers.. This dance is performed as a kind of ritual to please Baba Ramdeo, a local deity of Rajasthan. Bhavai Dance is an important dance form originated in Rajasthan. Bhavai is partly entertainment and partly a ritual offering to Goddess Amba. This form is very difficult and can only be performed by skilled artists. This dance basically involves women dancers balancing 8 to 9 pitchers on their heads and dancing simultaneously.